Gujarat Secondary and Higher Secondary Education Board has released final answer key released on May 17. The provisional GUJCET answer key 2017 was announced on May 11. Candidates who have appeared in the entrance test on May 10 can download the answer key of GUJCET given below. The GUJCET answer key is made available in online mode only. The link to download the GUJCET 2017 answer key is provided on this page. Through GUJCET answer key candidates can match their marked answers to the questions asked in the GUJCET 2017. Must visit www.ojasinfoindia.in every day and get new updates.Get new updates daily like our facebook page. 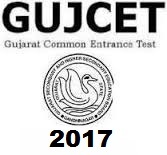 How to download GUJCET 2017 Answer Key? ⇛Click on the link to access GUJCET answer key 2017 on this page. ⇛The GUJCET answer key 2017 will be displayed for all sets. ⇛Candidates must use GUJCET 2017 marking scheme given in exam pattern of GUJCET and know their correct and incorrect responses marked in the entrance test. ⇛Candidates must take a print out of the answer keys for further references. Cadillac XTS Sedan released five trims into the market i.e. base, Luxury, Premium Luxury, Platinum, and Platinum V-Sport trim levels. 3.6 L V-6 Engine rated at 304-HP is standard across all the trims except the top trim.